This is the Sarovar or pool next to the Gurdwara Mata Kaulan near Gurdwara Baba Atal in Amritsar, Punjab next to the main Darbar Sahib at Harmandar Sahib. It is named after a holy lady who was raised as a Muslim called Bibi Kaulan, the adopted (possibly Hindu) daughter of the Qazi of Lahore. She was a highly spiritual woman who was above religious divides and took refuge with the sixth master Guru Hargobind Ji at Amritsar (1606-1645). The samadh of this lady, who is called Mata Kaulan lies at the western end of the Kaulsar Gurdwara. 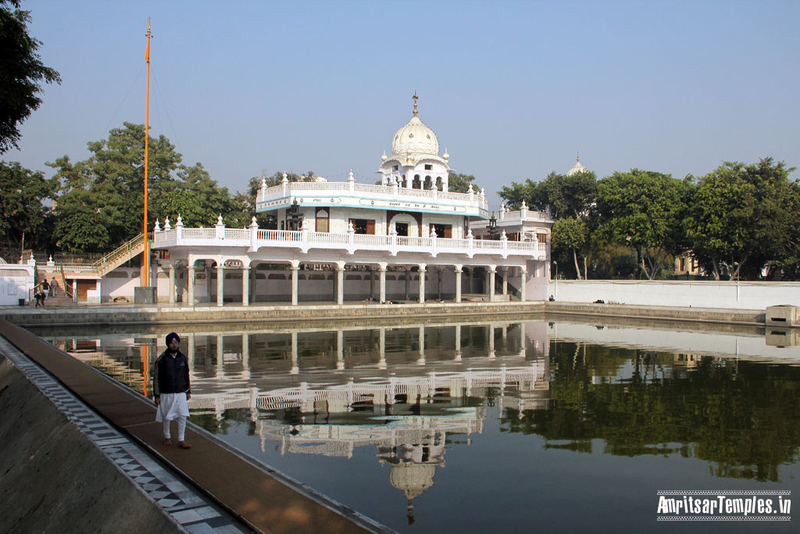 The significance of Gurdwara Mata Kaulan and Kaulsar sarovar could be adjudged from the fact that Guru Hargobind, the sixth Sikh guru, had directed the devotees to take a dip in the Sarovar Kaulsar before the Golden Temple sarovar. (sakhi to this effect is written right outside the entrance of Gurdwara Bibi Kaulan, adjacent to Darbar Sahib). Mata Kaulan, against whom her ‘father’ the qazi had pronounced a death sentence, for showing devotion to Sikh gurus, was brought here discreetly by Sant Mian Mir who had laid the foundation stone of the Golden Temple. Mata Kaulan, who was allotted a special place near the Golden Temple and Baba Atal, spent her entire life there before breathing her last at Kartarpur. The excavation of Kaulsar was started in 1624 and was completed in 1627 under the supervision of Baba Budhaji, first head granthi of the Golden Temple.